Two years in the making, the Royal Ontario Museum (ROM) has just unveiled their latest exhibition, The Forbidden City, now open for public viewing. The Forbidden City exhibition gives an opportunity to view what was behind closely guarded gates in the world’s largest imperial palace. Restricted from the public eye for 500 years, this Forbidden City was only accessible to the Chinese Emperor, his family and servants. It brings over 200 national treasures from the Beijing Palace Museum, with some treasures outside of China for the first time. 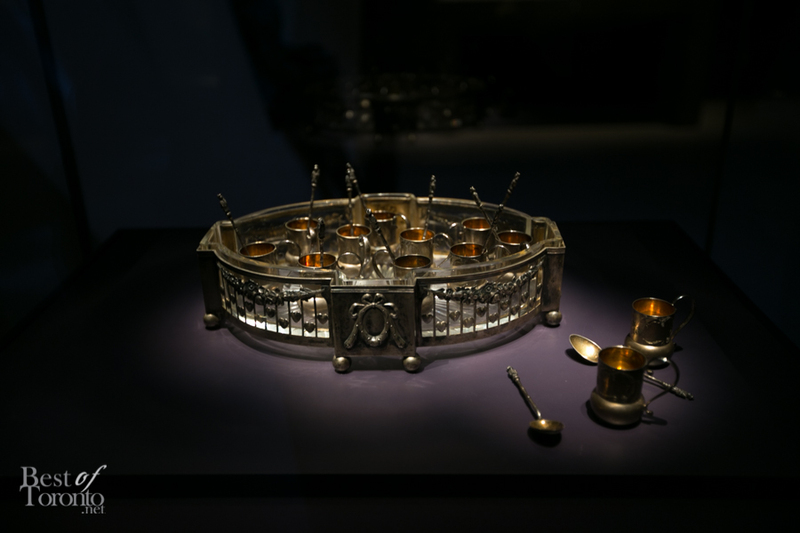 Some of the interesting pieces include the “Jar with Ten Thousand Shou Characters” representing longevity and the Chinese Emperor’s ceremonial armour. “Jar with Thousand Shou Characters” made of porcelain with underglaze blue. 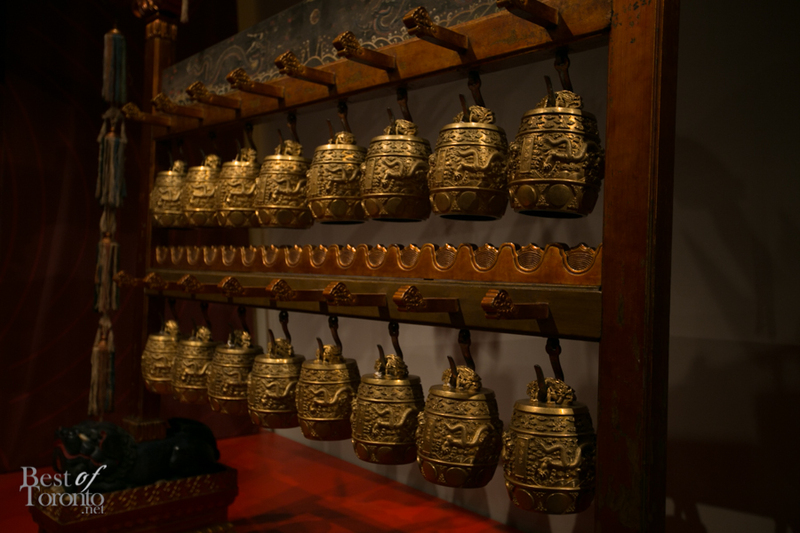 It signifies a wish of 10,000 years of longevity which could only be given to the emperor. 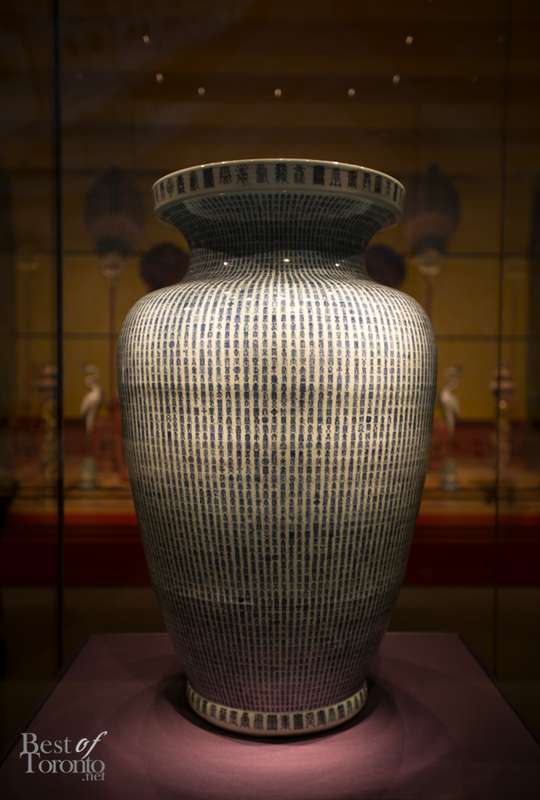 This vase was received by Emperor Kangxi on his 60th birthday. The number 10,000 was the highest unit in Chinese accounting and signified eternal life. Click here to buy tickets to the Forbidden City. Below are some photos from the Forbidden City unveiling including ceremonial lion dances and speeches by Kathleen Wynne, Leader of the Ontario Liberal Party and Premier of Ontario, and Michael Chan, the Ontario Minister of Tourism. The Emperor’s Ceremonial Armour and sabre from the Qing dynasty (Yongzheng period). It features cotton padding, embroidered silk satin, copper studs, and metal plates. meant for show rather than real protection. This special Forbidden City exhibit is only part of the large collection of the ROM’s 100 year anniversary celebrations this year. Year-long, the ROM will have fundraising activities, lectures and there will also be Forbidden Prom party on March 29, 2014 (organized by the ROM’s YPC – Young Patron’s Circle) and an already-sold-out Centennial Ball gala on November 14, 2014. 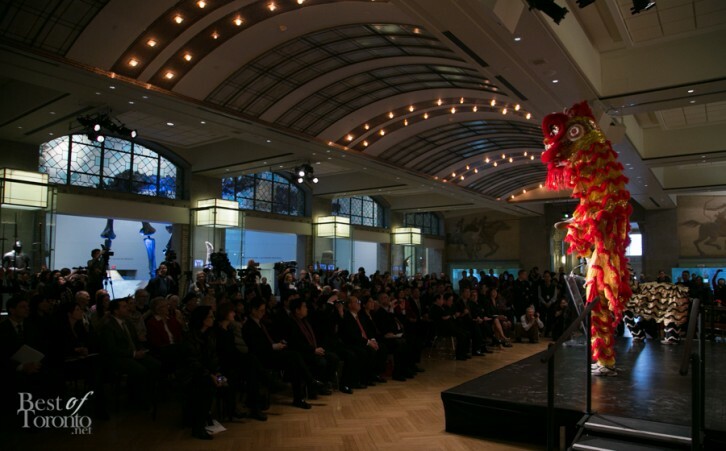 Click here to find out more about the ROM’s 100th anniversary celebrations. We're giving away a Samsung Galaxy Camera!